Hudson Ludy Feb. 2, 2019. So. Much. Hype. Seriously though, I can't think of any brickfilms featuring Jack Stone characters. Chris Major Feb. 2, 2019. Seriously though, I can't think of any brickfilms featuring Jack Stone characters. Love the focus on that! Good luck with the project. Ozone Studios Feb. 2, 2019. <image>https://i.imgur.com/TOPueTs.jpg</image> Test from a short I'm working on. This scene might be scrapped, not quite sure! Test from a short I'm working on. This scene might be scrapped, not quite sure! Very nice, sir, very nice. Chris Major Feb. 7, 2019. Very nice! Might want to wipe the fingerprints, though. Ozone Studios Feb. 7, 2019. <citer=@Ozone Studios>Very nice! Might want to wipe the fingerprints, though.</citer> Fingerprints are part of the aesthetic! It's a fully CG render, so without the fingerprints and scratches it kinda loses the realism. It's a little prominent in that shot, but that's mostly because of how I've got the lamp set up to give it that cinematic glow. @Ozone Studios Very nice! Might want to wipe the fingerprints, though. Fingerprints are part of the aesthetic! It's a fully CG render, so without the fingerprints and scratches it kinda loses the realism. It's a little prominent in that shot, but that's mostly because of how I've got the lamp set up to give it that cinematic glow. Oh, interesting! I thought it was CGI, but the fingerprints and scratches made me think otherwise. Very nice job! <citer=@jaydotjay><image>https://i.imgur.com/TOPueTs.jpg</image> Test from a short I'm working on. This scene might be scrapped, not quite sure!</citer> Looks really good! :yes: Are you using filmic render? <citer=@Yummy-Burrito-Studios>Thus the forum begins! 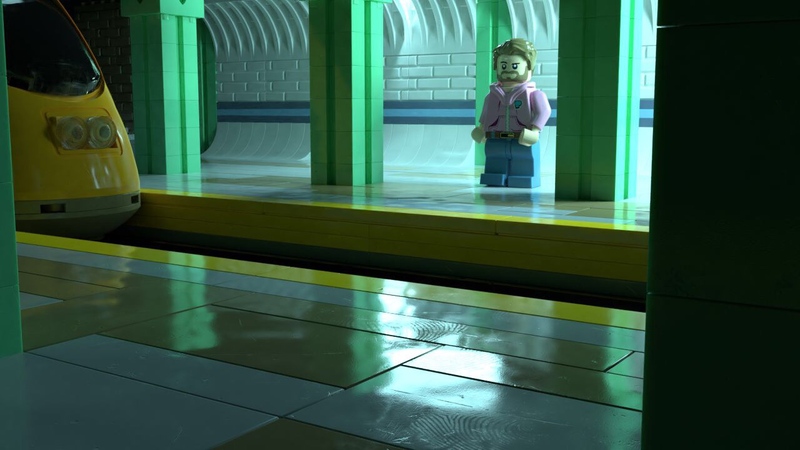 <image>1771/903386c7-screen-shot-2019-02-02-at-10-03-36-am.png</image> Here's a shot from my next project for Brickfilmday 2019, Jack Stone: The Return</citer> Hype!! Let malo film Feb. 7, 2019. Looks really good! Are you using filmic render? @Yummy-Burrito-Studios Thus the forum begins! Last edited by Let malo film (feb. 7, 2019 (03:36am)). Your photos make me want to see your movies!